MajGen JOAQUIN F. MALAVET USMC HMH 1985 1st Marine Expeditionary Brigade and served as the Deputy Commanding General of I Marine Expeditionary Force Commanding General MCIPAC, Marine Corps Installations Pacific, United States Joint Forces Command, J5 Directorate; Joint Staff J-5, Central Asia/South Asia Division; Joint Capabilities Assessment and Integration Directorate; as well as Principal Director and Deputy Assistant Secretary of Defense for South and Southeast Asia for the Office of the Secretary of Defense, Policy at Washington D.C.
MajGen DAVID W. COFFMAN USMC HMM 1985 HMM-161, 13th Marine Expeditionary Unit (13th MEU) Deputy Commanding General, I Marine Expeditionary Force Commanding General, 1st Marine Expeditionary Brigade, Commander, U.S. Marine Corps Forces South, Deputy Commander, U.S. Marine Corps Forces Command in Norfolk, Virginia. Maj Gen MATTHEW G. GLAVY USMC HMM 1986 HMM-265, HMX-1 2ND MAW, Plans, Policies & Operations, HQMC; Information Operations, Joint Staff J3; HQMC Aviation, Expeditionary Enablers Branch; Assistant Deputy Commandant for Aviation, Marine Corp Staff; Deputy Director of Current Operations, United States Cyber Command. BGen JAMES O’MEARA USMC HMM 1986 HMM-365, MAG-29, MAG-26 Assistant Deputy Commandant, Plans, Policies, Operations, Deputy Commander, U.S. Marine Forces Europe and Africa from 2012 to 2014. For a period of six months he served as the acting Commander for Marine Forces Europe. 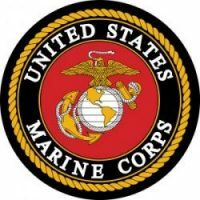 Director, Strategy and Plans Division, Plans, Policies and Operations Department, Headquarters, U.S. Marine Corps from 2014 to 2016. As Director of Strategy and Plans he performed the duties as the Marine Corps Assistant Deputy Operations Deputy. Chief of Staff for CJTF-OIR from June 2016 to June 2017. Prior to assuming his current assignment he served as the Service General Officer representative to the Secretary of Defense Strategic Defense Review.